Kovacich and Halibozek offer you the benefit of more than 55 years of combined experience in government and corporate security. Throughout the book, the authors use a fictional global corporation as a model to provide continual real-world challenges and solutions. New and experienced managers alike will find a wealth of information and practical advice to help you develop strategic and tactical plans and manage your daily operations. 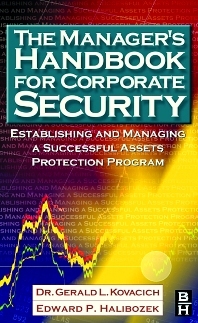 Security managers and professionals, corporate/ industrial security officers, and facilities directors.